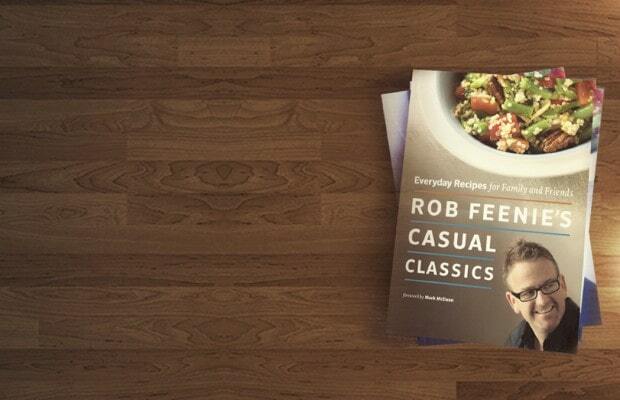 An autographed gift-wrapped copy of Chef Rob Feenie’s new book, Casual Classics and a $25 Cactus Club Gift Card all for just $50! This holiday gift package is available at all of our restaurant locations. Rob Feenie’s Casual Classics brings together the best of these innovative and approachable meals. From such fundamental recipes as roasted tomato sauce and juicy poached chicken to globally inspired dishes like barbecued duck spring rolls, quinoa jambalaya and braised osso buco, these are real-life recipes — modern classics that are adaptable to budgets, dietary restrictions and busy schedules. We have posted 6 featured recipes for you to view first before purchasing the book.